Terms and Conditions: F1 Privileges is a loyalty program designed to reward guests for staying at F1 Hotel Manila. The following Terms & Conditions are intended to protect the members of F1 Privileges. 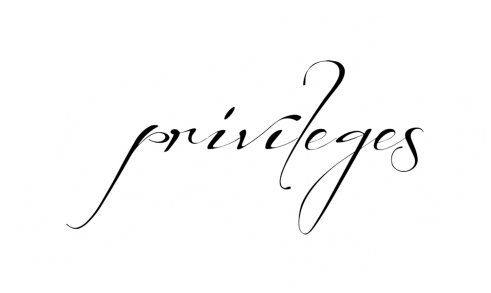 Should you require further clarification, please do not hesitate to contact our Membership Services Team at 02 928.9888 local 6448 or log on to www.privileges.f1hotelmanila.com A. Membership Eligibility 1. All individual guests are eligible for F1 Privileges membership. F1 Privileges membership is not transferable. 2. Membership in F1 Privileges is free and is available to individuals residing in countries that legally permit participation in frequent stay programs and who are 18 years of age and older. 3. Membership in F1 Privileges is valid for two (2) years from date of issuance. F1 Hotel Manila reserves the right to terminate any F1 Privileges account with no activity (as defined by hotel stays) for 2 years. Stay credits, points and any other benefits will expire if the member account has no activity for 2 years. 4. The Hotel reserves the right to refuse membership for any reason whatsoever or reject any application if the required information is not supplied accurately and in full. 5. Participation in F1 Privileges constitutes acceptance of these terms and conditions as well as any changes or modifications made in future. 6. Employees of F1 Hotel Manila and any of its subsidiaries and affiliates are not eligible to participate in F1 Privileges except for specially designated employee programs. B. Earning of Points 1. The points earned under F1 Privileges are based on qualifying and/or eligible room rates. Food & Beverage consumption may earn points if charged to the room. Service charges, taxes, and other incidental charges are not eligible for F1 Privileges points. 2. It is the Members' responsibility to quote their F1 Privileges membership number when making reservations at www.privileges.f1hotelmanila.com or through F1 Hotel Manila’s reservation team. 3. Members may log in to the F1 Privileges members' portal www.privileges.f1hotelmanila.com to check their F1 Privileges points balance and transaction activities or may email the F1 Privileges Membership Services Team at membership@f1hotelsandresorts.com , to get an update. 4. Members who are missing credits on their F1 Privileges member account must notify the F1 Privileges Membership Services Team within 30 days of their checkout date. Failure to notify the Membership Services Team will result in the forfeiture of the relevant F1 Privileges points. Members can verify their points two (2) business days after they have checked out. Any claims for missing F1 Privileges points can be forwarded to the Membership Services Team via email at membership@f1hotelsandresorts.com. 5. F1 Privileges points are credited to members as long as they stay and pay for the room. 6. A guest must have been enrolled as an F1 Privileges member at the time of stay in order to earn F1 Privileges points. 7. A guest cannot have more than one F1 Privileges membership account. Program memberships and rewards are tied to the individual, not transferrable and can only be used by the member whose name is listed on the account. Under no circumstances will the member receive credits for any rooms booked by other individuals including, but not limited to, friends or family members. 8. Employees of F1 Hotel Manila, its advertising agencies, suppliers and contractors and their relatives up to the second degree of consanguinity or affinity are disqualified from joining the program. C. Claiming the Reward 1. Members may redeem their F1 Privileges points for rewards at www.privileges.f1hotelmanila.com under F1 Hotel Manila’s Members' Portal – Rewards / Redemption section. In addition to Members' user IDs and passwords, the Hotel reserves the right to seek other personal information for verification purposes. 2. Minimum F1 Privileges point levels apply to each reward. Please refer to the Rewards Chart below. 3. Members are solely responsible for making reservations and for confirmation of stays or services provided by F1 Privileges participating partners. 4. The Hotel is not responsible for redemption partners' withdrawal from the program or partners' rewards cancellation, which may affect the rewards offered. D. Recognition and Benefits 1. Members are required to present their membership e-cards to enjoy privileges and/or discounts in the Hotel or with F1 Privileges participating partners. The Hotel may request additional personal information for verification purposes. 2. The privileges and/or discounts will be extended only to the members whose name appears on the e-card. The e-card must be presented in order to enjoy the membership privileges and/or discounts unless otherwise stated. E. General Rules 1. F1 Privileges membership e-card remains the property of the Hotel. Use of membership card constitutes acceptance of the benefits, privileges and the terms and conditions listed herein. 2. Whenever there is a change of personal particulars, it is the member's sole responsibility to update their membership record in the F1 Privileges members' portal or to inform the Membership Services Team in writing. 3. The sale or barter of any F1 Privileges points, rewards or other benefits, other than by F1 Hotel Manila, is prohibited. 4. The F1 Privileges Membership Services Team reserves the right to correct any member statements or F1 Privileges point accruals or balances that are incorrect due to processing errors. 5. Respecting the member’s privacy is important. However, F1 Hotel Manila may from time to time send the member certain program information that may include, but is not limited to, marketing materials which will inform them of special offers and products the hotel believes would be of interest to its members. The member will be given the opportunity to opt-out from receiving such marketing materials. 6. F1 Hotel reserves the right to amend the rules, restrictions, program benefits, and special offers without notice. F1 Hotel reserves the right to terminate the F1 Privileges program at any time. 7. F1 Hotel may immediately suspend or cancel a member's F1 Privileges account at any time without notice for any reason whatsoever at its sole discretion, including without limitation, if F1 Hotel Manila believes the member has breached or violated these terms and conditions, engaged in misuse or wrongdoing in connection with the program, acted in a fraudulent, inappropriate, hostile or abusive manner, failed to pay any amount due to F1 Hotel Manila, acted in a manner inconsistent with any applicable law, regulation, rule or ordinance. Such termination will result in an automatic forfeiture of any unredeemed rewards or stay credits or any other benefits without remuneration and you will no longer be able to participate in the program. Nothing contained in these terms and conditions shall limit F1 Hotel Manila in the exercise of its legal or equitable rights or remedies. Subject to applicable law, should F1 Hotel Manila ever file for or be subject to a bankruptcy proceeding, membership in the program will automatically terminate. 8. Neither F1 Hotel Manila nor our program partners are responsible for requests, applications or correspondence lost or delayed or theft or unauthorized redemption of F1 Privileges or other program benefits. We are also not liable for any acts or omissions of our employees and third parties for any errors in relation to the program including but not limited to errors involving pricing, descriptions of hotels, calculation of awards, participating hotels or errors in crediting or debiting stays. F1 Hotel Manila is not responsible for, and reserves the right to correct, any pricing or typographical errors, errors of description, or errors regarding participating hotels, restaurants and partners. 9. Earning of F1 Privileges points and redemption of rewards are subject to all applicable laws and regulations. 10. Benefits and rewards received under F1 Privileges may be subject to taxes. Such taxes are the sole responsibility of the member who is the recipient of the said benefit or reward. 11. F1 Hotel Manila makes no warranties or representations, whether expressed or implied, and expressly disclaim any and all liability (including consequential damages) with respect to the quality of goods or services claimed, redeemed and/or enjoyed through F1 Privileges. All conditions, warranties or other terms implied by law are excluded to the fullest extent permitted by applicable laws and regulations. 12. F1 Hotel Manila reserves the right to adjust the F1 Privileges point values as and when necessary to reflect changing market conditions. 13. Fraud or abuse concerning F1 Privileges or reward usage is subject to appropriate administrative and/or legal action by the F1 Hotel Manila and/or F1 Privileges participating partners. 14. This program is void where prohibited by law. 15. F1 Privileges is a program operated by the Hotel. Service providers may also have access to members' records. 16. All interpretations of the program terms and conditions shall be at the sole discretion of F1 Hotel Manila. In the event of any dispute, the member agrees to submit to the exclusive jurisdiction of the courts in the City of Taguig, Philippines.